The St. Maarten Salsa Escape Weekend took place November 10-14, 2004. 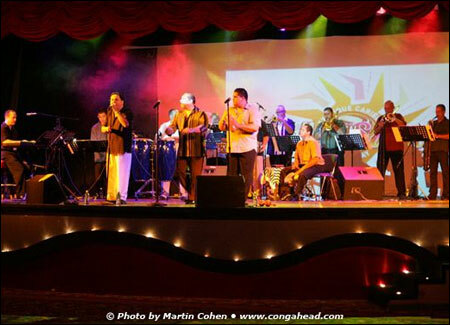 Produced by Henry Knowles, the event featured LP® endorsers Chino Nuñez and Jorge Gonzalez, along with the rest of the Spanish Harlem Orchestra, as well as the incomparable dancer, Frankie Martinez. In the incredibly beautiful setting of Maho in St. Maarten, Knowles produced a five-day event for Salsa lovers, including afternoon dance workshops, pool parties and concert & dance reviews featuring performers from New York, Argentina, and Puerto Rico. For the 2005 event, Henry has already booked Puerto Rican band leaders Bobby Valentin and Roberto Roena.